A Virginia DWI or Driving while intoxicated (DWI)–more commonly known as drunk driving–is a serious criminal offense. Although some states make a distinction between driving under the influence (DUI) and driving while intoxicated, Virginia is not one of them. (5) while having certain levels of specific drugs in your bloodstream. Although there are five ways that one can be found guilty, there is only one law. And a defendant who is charged with DWI can be found guilty under any one of the ways listed above. How the prosecutor can use a “rebuttable presumption” to convict. 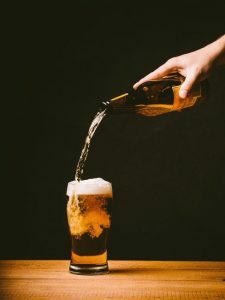 The most common way for the prosecution to prove a Virginia DWI is to trigger what is called a rebuttable presumption. Notice that two of the ways that a person can be found guilty listed above (number 1 and number 5) refer to the amount of alcohol or drugs found in the defendant’s bloodstream. If the prosecution has scientific tests such as a breathalyzer or blood measurement they can submit the results during the trial as evidence. If the tests were properly done they will be admitted. And they will create what is called a “rebuttable presumption” if they show that the alcohol or drug levels in the defendant’s blood were high enough. This presumption will allow the judge or jury to presume that the defendant was “under the influence” of alcohol or drugs while driving due to the level of alcohol or drugs in their blood. The law then allows the defendant to submit evidence to disprove that they were under the influence, but that can be tough to do as a practical matter. The majority of DWI cases are alcohol cases. And the easiest way for the prosecutor to prove these cases is to use the results from a breathalyzer or blood test. Likewise, the easiest way for a prosecutor to prove that the defendant was under the influence of, for example, cocaine is to submit blood test showing the level of cocaine in the person’s blood stream. Other ways the prosecutor can prove a Virginia DWI. But even If there is no blood test, that does not mean that the defendant will “walk.” To the contrary, the law allows the prosecutor to put forth circumstantial evidence that a driver was “under the influence” to prove a Virginia DWI. This would include things like: the smell of alcohol on the driver’s breath, blood-shot eyes, the inability to walk a straight line, slurred speech, and the inability to stand without wobbling. One of the biggest things that might be used against a defendant is their own words. Often, when a the police officer will simply ask the defendant if they have been drinking. Nine times out of ten, the defendant will answer yes. What can be defenses can be made in a Virginia DWI case? Virginia DWI cases are technically very complex and there are many possible defenses. Whether or not they are available will depend on the facts and circumstances of the case. For example, in blood alcohol cases with a breathalyzer, there may be a problem with the calibration of the instrument. Likewise, there may be problems with the initial traffic stop. If you’ve been charged with a Virginia DWI, the consequences can be significant. You should consider contacting an attorney immediately to discuss your case.